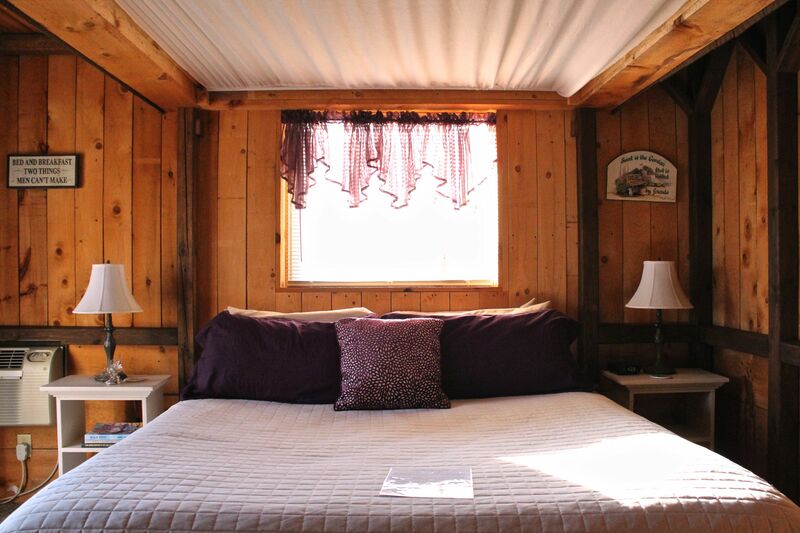 If you need a getaway, you have found our peaceful place! Just outside of Lake Geneva it is quiet, so quiet! Sit on the deck and stargaze, enjoy the complimentary bottle of wine, and rejuvinate your mind and body. Our guests at our Lazy Cloud Inn in Lake Geneva and at our Lazy Cloud Bed and Breakfast in Fontana have discovered that we are blissfully unlike any other hotel or resorts in Lake Geneva area! 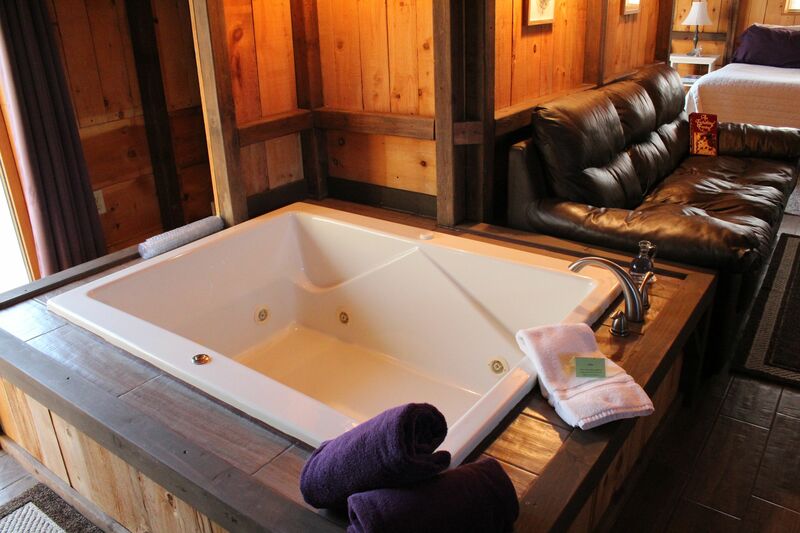 The Heavenly Nights Suite is a perfect choice for one of your weekend getaways. 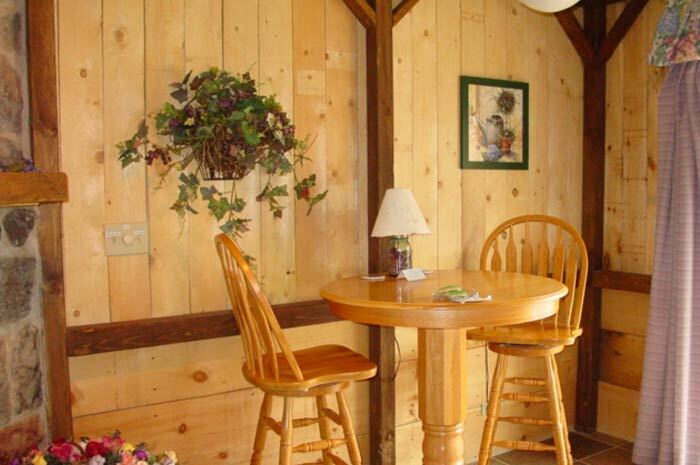 The suite is decorated with a rustic garden theme. The canopy above the bed looks like the shake shingle roof of a cabin on the outside. On the inside of the canopy, mini white lights twinkle in the sparkling ceiling drape. The fireplace stone is split faced granite stone and can be seen from almost any area of the suite including the double whirlpool tub. The two sets of patio doors offer you a view of the gorgeous 4 acres of woods from the whirlpool as well as from your canopy bed! A complimentary continental breakfast, in-room Keurig coffee, a microwave, and refrigerator are among some amenities provided. As you can see, we are unlike all other Lake Geneva resorts! 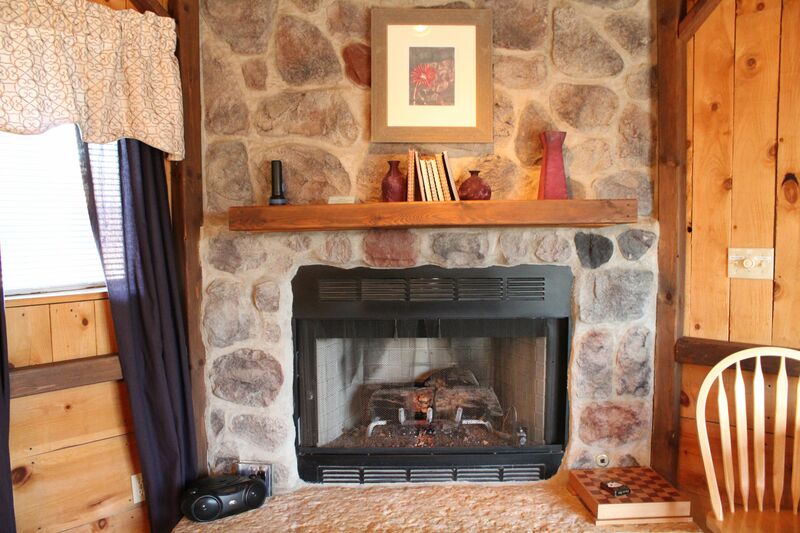 We are a truly unique property providing a quiet place to stay just minutes from Downtown Lake Geneva.